Think back to your childhood. I can almost guarantee that at least one of your parents wasn’t always there to celebrate a special moment or milestone in your life. Mohamed El-Erian, former CEO of PIMCO, used to be one of those parents before he resigned in January. The reasons for his resignation were numerous, but one stood out from the rest. He resigned to spend more time with his 10-year-old daughter. Needless to say, the announcement shocked the world. PIMCO is a $2 trillion dollar global investment company, and El-Erian was not only its CEO, but also its Co-Chief Investment Officer. But it wasn’t until El-Erian’s daughter refused to brush her teeth when he asked, and instead showed him a list of 22 events and milestones he had missed in her life. The list included things like soccer games, Halloween parades and first days of school, according to Worth. It takes a lot of guts to stand up for something that you believe in. 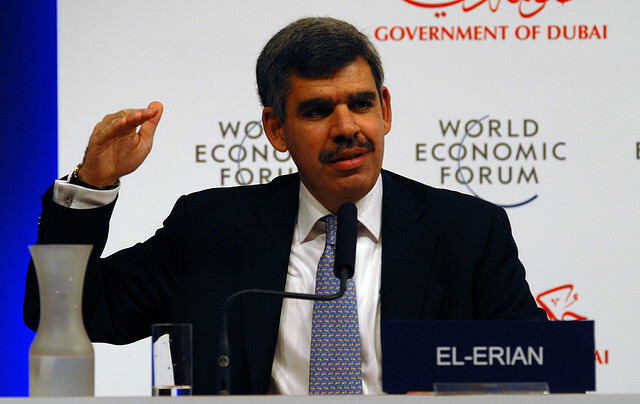 And for El-Erian’s 10-year-old daughter, it took more than just courage to stand up to her father. She is the example that through perseverance and research, even the youngest of children can teach adults a thing or two. Since his resignation, El-Erian found plenty of flexible part-time jobs that let him plan activities with his wife and daughter. “I now alternate with my wife in waking up our daughter every morning, preparing her breakfast and driving her to school… she and I are doing a lot of wonderful talking and sharing. We’ve even planned a holiday together, just the two of us,” El-Erian continues in his column. In August, Max Schireson, CEO of MongoDB, a software company, also announced he was resigning to in order to spend more time with his wife and three children. Of course, most people can’t resign from their jobs just to spend more time with their family. These men are an exception, since they are incredibly wealthy, but that’s not the point. Both men came to their senses that family comes first. They were so drowned in work that they didn’t see that they didn’t weren’t making enough time for their families, and they fixed the situation. It took a lot of courage for both El-Erian and Schireson to swallow their pride and realize that these moments that people have with their families cannot be done over. No one has a second 10th birthday, or a second first day of school. It’s the little things in life that are supposed to bring us the most joy. Spending time with the people we love most, getting to experience life with them and watching them grow, are things that only happen once in a lifetime.